Lenovo H515s Latest Desktop PC AMD E2-3800 Quad Core 4 GB RAM 500 GB HDD DVDRW. 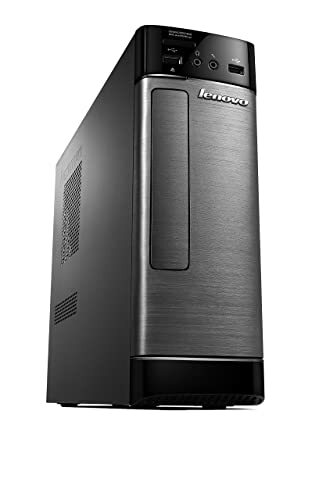 The Lenovo H515s desktop combines a powerful AMD E2 quad-core processor and plenty of storage space with a range of entertainment features like a DVD drive and 5.1 channel surround sound support. Its slim space-saving design -- it's up to two times smaller than a regular desktop PC -- offers a range of family-friendly features, including Windows 8.1. The Lenovo H515s features an AMD E2-3800 quad-core processor. AMD E2 combines the power of multi-core processors with the beauty of integrated graphics all in one energy-efficient chip. You can blaze through apps with AMD Turbo Core 3.0 and connect up to 6 displays with AMD Eyefinity technology. Inside the Lenovo H515s you'll find 4 GB of fast DDR3 RAM to help your PC handle the most demanding multitasking. You'll also find a 500 GB hard drive, which is ideal for storing your files and favourite multimedia. The Lenovo H515s features a CyberLink PowerDVD multi-media player, plus CyberLink Power2Go disc burner. This DVD software suite means you can watch DVDs and burn DVD disks straight out of the box. Easily connect multiple speakers to your Lenovo H515s to immerse yourself in 5.1 surround sound -- simply plug in the cables, adjust the settings and enjoy. You can listen to music and films through surround sound, front channel or centre-LEF. Transfer your files from your mobile device to your desktop quickly and easily with the built-in seven-in-one card reader. The card reader is easily accessible on the front of the desktop and supports MS, MS Pro, SD, SDHC, MMC, MMC Plus, and offers optional SDXC support. By connecting the Lenovo H515s to a compatible USB 3.0 device, such as an external drive, 3.0 can offer up to 10 times faster transfer rates than standard USB 2.0. This means that files and folders that took hours to transfer just take minutes and you can move whole albums to and from your PC in just a few seconds, saving you time and making your media much more portable. 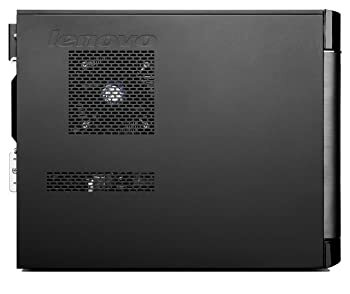 The Lenovo H515s comes with two USB 3.0 and four USB 2.0 ports. Lenovo Rescue System offers a simple and quick way to back-up and restore your data and recover system files before entering Windows. You can back-up operating system data, plus media and productivity files to an internal or external hard drive. Hit F12 during Windows boot to access, or access normally through Windows Metro.